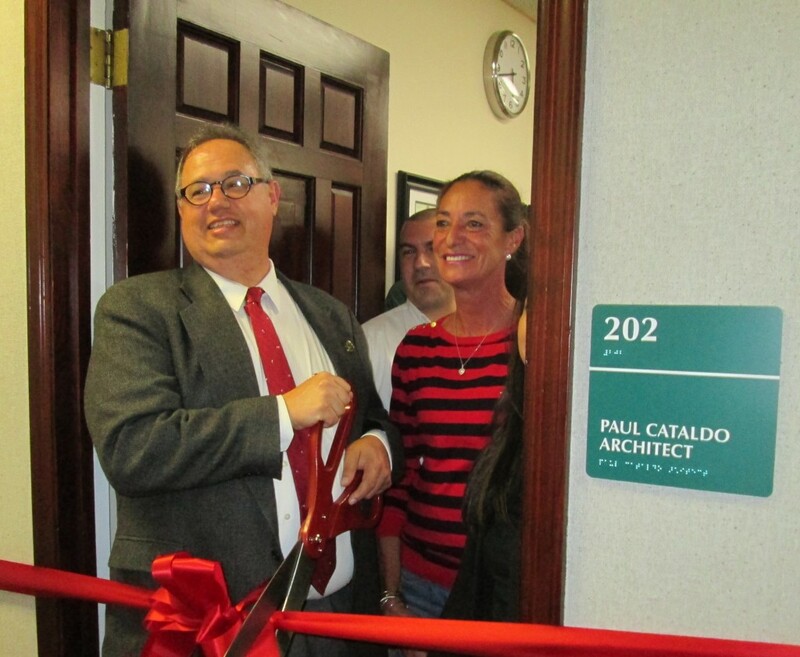 Town officials, members of the Port Jefferson Chamber of Commerce, clients, family, and friends all gathered to celebrate the ribbon-cutting ceremony of the new offices of Long Island green architecture firm Paul Cataldo Architecture & Planning PC on September 30, 2014. Melissa Petsco, Director of the Port Jefferson Chamber of Commerce, officiated the dedication and ribbon-cutting, providing well wishes for success and a warm welcome to the businesses that contribute to the economic diversity of the Village of Port Jefferson. All enjoyed great conversation and local refreshments as the community welcomed Paul and his staff to the fabric of Main Street.